This project has been under wraps for the last year, but the book is finally out and I can talk about it! 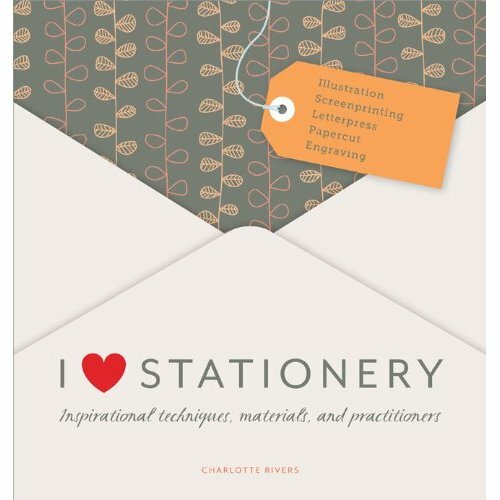 I contributed to the book I Love Stationery: Inspirational Techniques, Materials and Practitioners by Charlotte Rivers, with a section on block printing! The book is a collection of work by different artists and stationery designers, with ideas and information on how you can use the same techniques at home. It just came out, but since we are in India I haven't been able to get my hands on a copy and see my contribution. You can buy it online here, and if you do, feel free to forward pictures! I have a copy waiting for me back in the US, and I will be waiting patiently until we get back to read it. Once I do, you can be sure I will be posting more about this project but until then, pick up a copy for yourself!